The Easter Bunny Hunt takes place during the Easter school holidays and is run from the Visitor Centre. It is a fun event and requires no pre-registration. We only ask for a small donation of £3 per child, which is payable on the day. 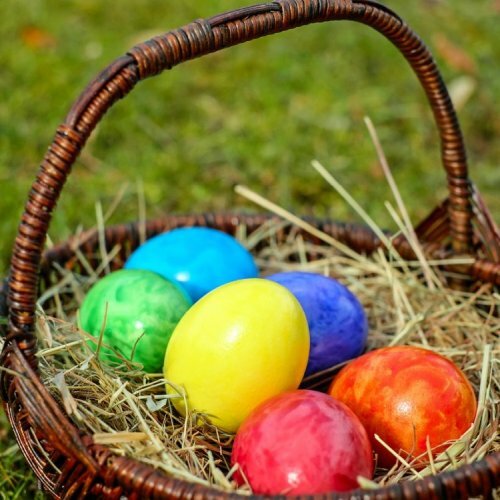 Children are asked to follow a trail around a small area of the park in order to find a number of wonderfully painted animals, which inturn leads them to the location of the mysterious blue Easter Bunny. They will also be provided with a questionaire, which each question relating to the hidden animals in the hunt. Each question relates to the specific animal on the trail and should be completed whilst at the location. It's a great way to encourage young children to explore their local park and the great outdoors, although everybody attending this event seems to enjoy it!